Q: Why does the BLDC motor have three Hall sensors? A: For the BLDC motor to rotate, the magnetic field of the stator coil and the magnetic field of the rotor’s permanent magnet should constitute certain angle. The rotor’s transmission process is a process in which the direction of the rotor’s magnetic field changes. In order to ensure certain angle between the magnetic field of the two, when the angle reaches certain value, the magnetic field direction of the stator coil should change. Then, how can one judge the necessity of changing the direction of the stator magnetic field? The three Hall sensors can help. The three Hall sensors is responsible for telling the controller when to change the current direction. How to Control Sensorless BLDC Motor Based on Back EMF? 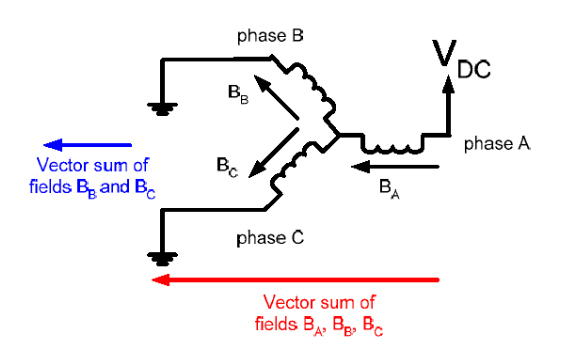 Because of Y-shaped connection of BLDC motor, three phases are connected to the public neutral points, resulting in failure of the phase voltage to be directly measured. As a result, only the terminal voltage of various phases can be measured, namely the voltage of various phases on the ground. Then, the voltage is compared with the voltage of neutral points. When the terminal voltage changes from the voltage which is larger than that of neutral points to voltage which is smaller than that of neutral points, or the other way around, it is the zero-crossing point. The schematic diagram is shown in Fig. 1 (A). Generally, the reduction rate of a speed reducer can be as low as 3:1 or even smaller, it may also be as big as 170:1 or even larger. For example, when the speed of a brushless motor is 1300 rpm, the output speed of reducer can be as high as 450 rpm or even greater, or as low as 7.5 rpm or even smaller. 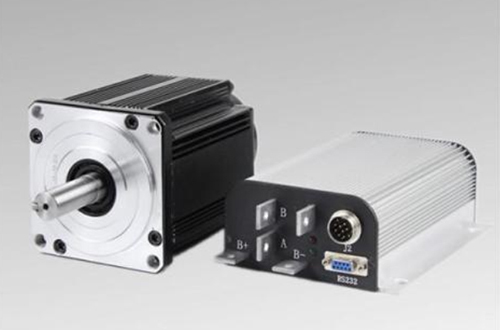 Common brushless DC motors don't have such a large speed range. Even the multistage variable speed motor, the two-stage motor that has the fastest speed is about 2800-2900 rpm and the 12-stage motor that has the lowest speed is about 450-500 rpm. But if only decades of speed is required, the common brushless DC can't work. The load equipment requiring low-speed operation often requires a larger moment (such as the good ladder, up- coiler). Even the speed of brushless DC meets the requirements, its moment can't meet. How to Run a BLDC Motor in Forward and Reverse? DC motor has fast response, large starting torque and good speed regulation performance. There are two kinds of DC motors: Brushed DC motor and brushless DC motor. We know that brushless DC motor in many occasions not only requires the motor has good starting and adjusting characteristics, but also requires the motor can be positive and negative rotation. So how to realize the forward and reverse rotation of brushless DC motor? Can Brushless DC Motor be Used as Generator? The equipment can run at low speed and high power, which can save the speed reducer from directly driving large loads. Many people have doubts about whether the brushless DC motor can be used as a generator under certain conditions. Can the two be replaced with each other? The magnetism of brushless DC motor is different from that of generator, which is divided into excitation and self-excitation. There is an excitation coil to adjust the magnitude and direction of current. A rotating excitation coil exists in the form of direct current, circulating around a line resistance, and reversible current changes its current direction in the same way. How to Test the Performance of Motor with Multimeter? If it is the three-phase motor, the first step is to measure the resistance of the three-phase winding with the 200Ω gear of the multimeter to check if its resistance is completely equivalent. If it is not equivalent, the motor must have been damaged. If it is equivalent, it is required to measure the resistance between each phase winding and shell with the 20Ω gear or 200Ω gear, and the resistance should be higher than 2Ω, otherwise the motor must be in bad conditions. How Hall Sensor Works in Brushless DC Motor? Commutation of the BLDC motor is controlled electronically. To ensure the BLDC motor to move, the stator winding should be powered on according to certain sequence. In order to identify which winding will gain electricity first according to the electrification sequence, it is important to know the rotor's position, which is detected by the Hall sensor embedded in the stator. When the rotor magnetic pole passes nearby the Hall sensor, it will give out a high level signal or a low level signal, indicating that the north magnetic pole or the south magnetic pole is passing by the sensor. According to the combination of the three Hall sensor signals, the precise sequence of commutation can be pinned down. How to Control BLDC Motor using PWM? The BLDC motor has found wide applications in the field of household applications, automobile, medical care, industrial equipment, etc. Meanwhile, the three-phase BLDC motor is more popular than other BLDC motor series. Fig. 1 is the schematic diagram of the driving part of the three-phase BLDC motor, which mainly includes collection of the Hall information, the corresponding modulation made to the three-phase inverter based on Hall signals, the switching sequence of the three-phase inverter PWM and the PWM duty ratio. Different modulation methods have a huge influence on the operation performance of the BLDC. In recent years, with refinement of the motor control system, the appearance of the sine PWM can reduce the motor pulse and alleviate the current waveform distortion, but the latter's algorithm is more complex. How to Troubleshoot the Hall Sensor of BLDC Motor? In a brushless DC motor, the Hall position sensor detects the position of the rotating magnetic field of the rotor and energizes the corresponding winding through a logic and drive circuit. Now ATO takes this set of BLDC motor to explain how to use the multimeter to detect whether the Hall sensor is damaged or not. How to Maintain Your Brushless DC motor? The brushless DC motor not only has the advantages of reliable operation and convenient maintenance of the AC motor, but also has the advantages of high operating efficiency and good speed regulation performance of the DC motor. Because it is not restricted by mechanical commutation and easy to achieve large capacity and high speed. It has broad application prospects in aerospace, military, numerical control, metallurgy, medical equipment and other fields. In order to make the function of the brushless DC motor better, we must pay attention to daily maintenance and maintenance, but how can we maintain it to extend its service life and improve our work efficiency?